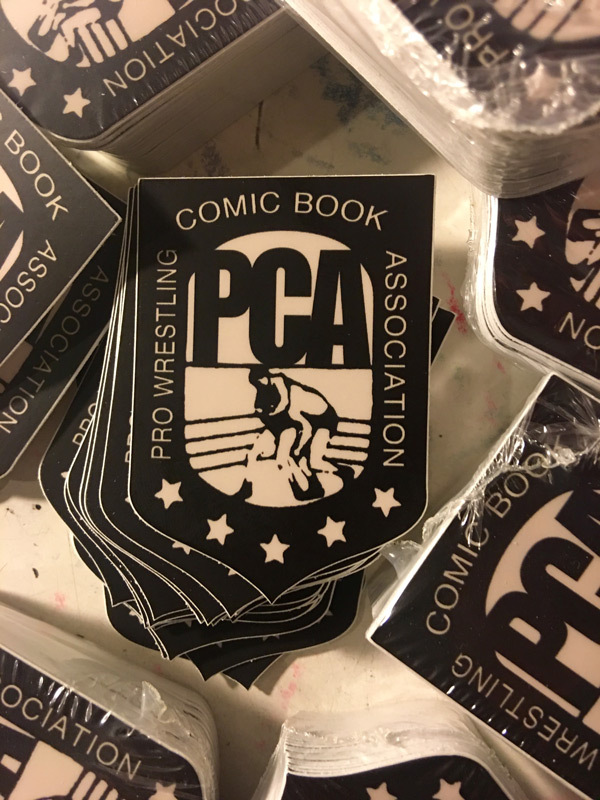 The Pro Wrestling Comic Book Association Stickers promised to all of our Kickstarter Backers who have pledge $3 or more are now in stock! The stickers are die-cut and came out really nice. When all the rewards ship we will be dropping several stickers into everyones package! Here is a goofy video Strength Monsters Creator Sam Kressin made to introduce these Kickstarter funded stickers to the world!